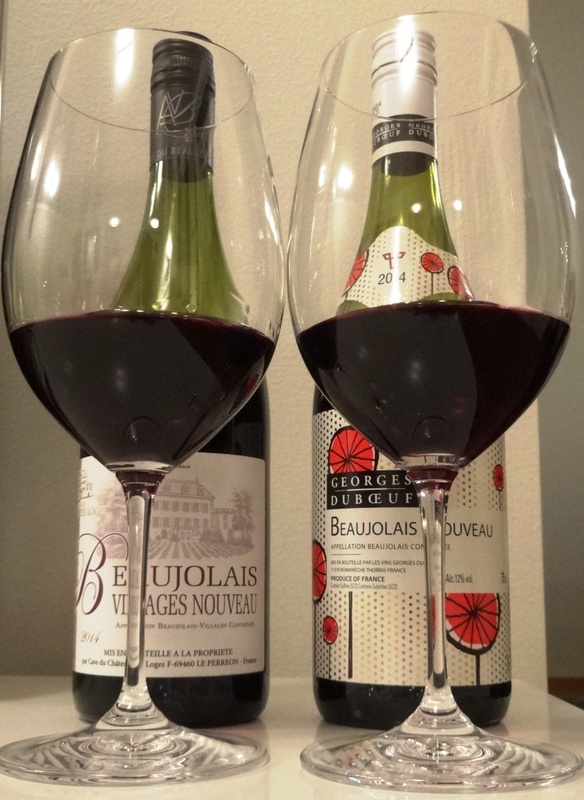 Beaujolais Nouveau is a red wine made from Gamay grapes produced in the Beaujolais region of France. It is released for sale on the third Thursday of November. 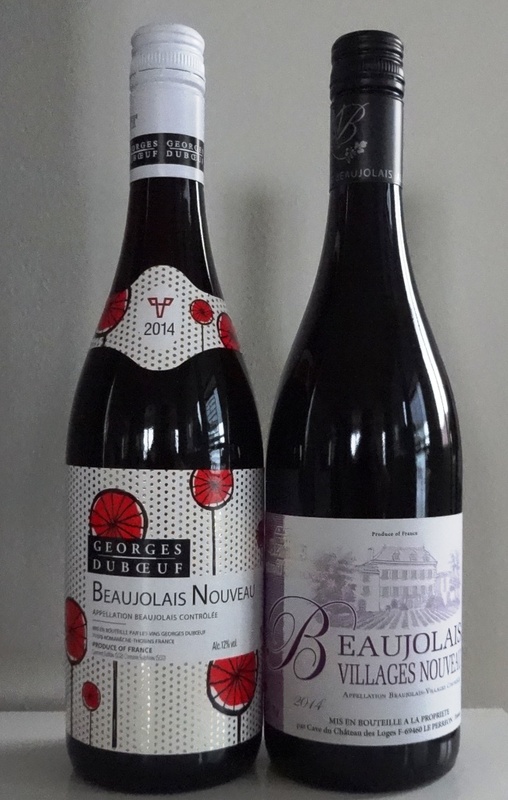 This “Beaujolais Nouveau Day” used to see heavy marketing, with races to get the first bottles to different markets around the globe. The current release practice is to ship the wine ahead of the third Thursday of November, and release it to the local markets at 12:01 am local time. 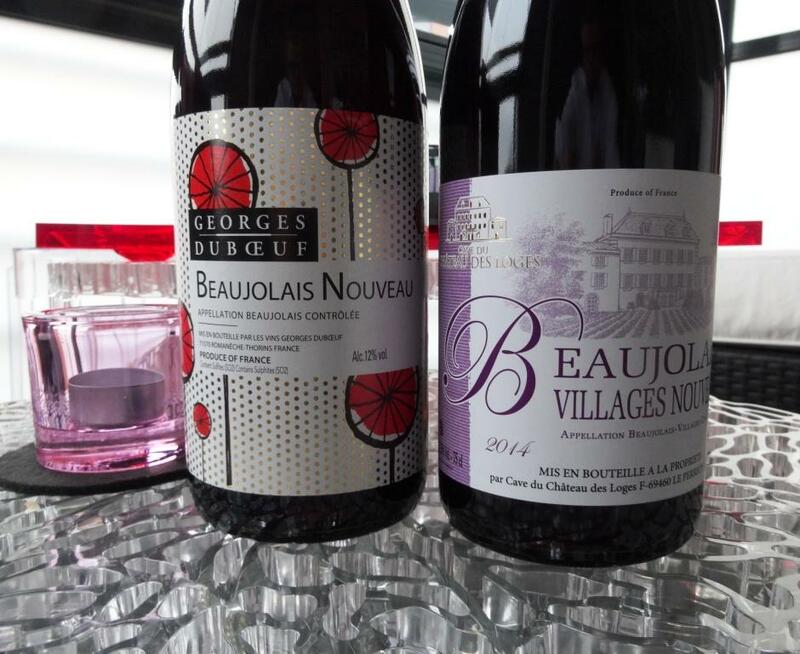 Of course not in Finland as there is only one monopoly company selling wines and alcohol (Alko) and it opens at 09.00 EET and they offer only one choice Georges Duboeuf Beaujolais-Villages Nouveau. Neither restaurants promoted opportunity to taste it right after midnight. It is important to enjoy the wine enough chilled, proof below :). 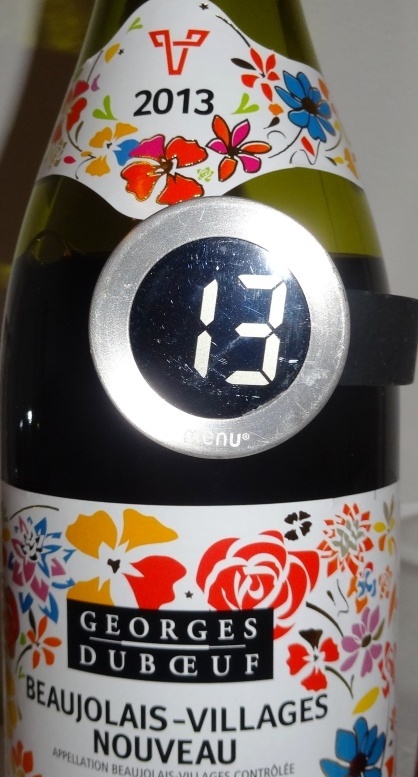 It must be served between 12 – 14C degrees. 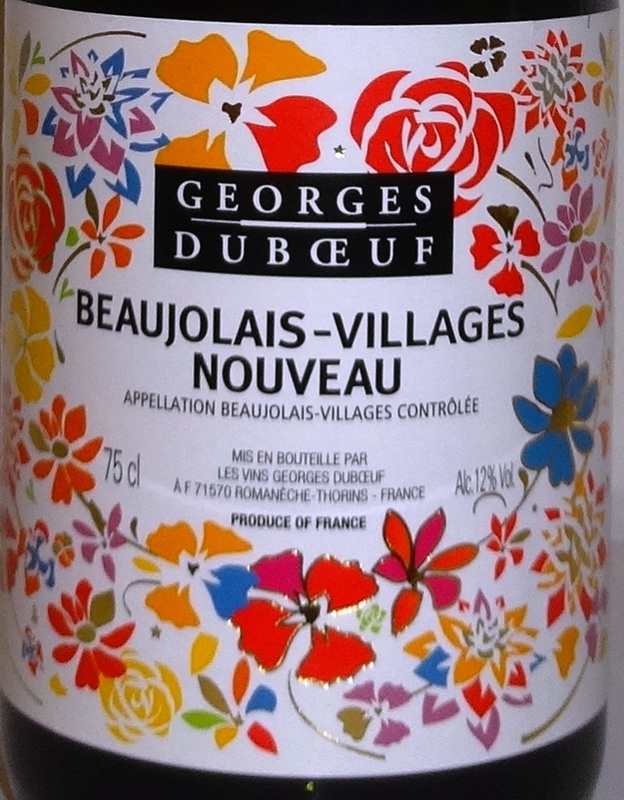 Label is colorful as always, flowers mirror the freshness of wine. Wine itself is almost violet, blue-reddish like young wines always are. More dark than last year. Fruity, even sweet aroma especially when using tasting glass. Rasberry, vanilla and fruit candy scent came in to the nose. Young fruity wine, light and fresh. Berries dominate but on the other hand quite skinny taste. 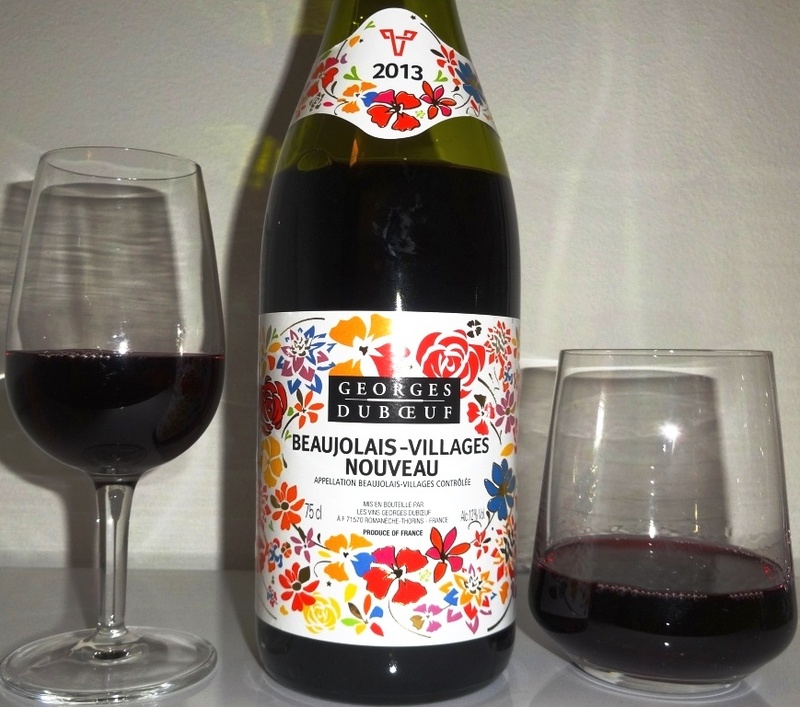 This years only available Beaujolais Nouveau from Georges Duboeuf is eligible wine. Easy to taste, easy to enjoy.